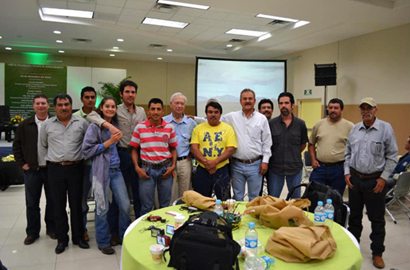 After 5 years of instruction, Sierra Gorda Ecological Group will be Savory Institute’´s representative in Mexico. In a selection process of more than 25 candidate countries around the w orld aspiring to be a HUB for the Savory Institute, Grupo Ecológico Sierra Gorda has been officially selected to join its international network of partners and trainers. Picture: Allan Savory with personnel from Sierra Gorda and other members of the Savory Institute based in Boulder, Colorado. After five years of training with Savory Institute instructors, Grupo Ecológico Sierra Gorda (GESG), , along with its sister organization Bosque Sustentable, has been chosen representative of the Savory Institute in Mexico. Thanks to its capacity, experience and personnel, GESG will be Mexico’´s main disseminator for Holistic Management concept and tools for the appropriate and integral management of land as a whole. 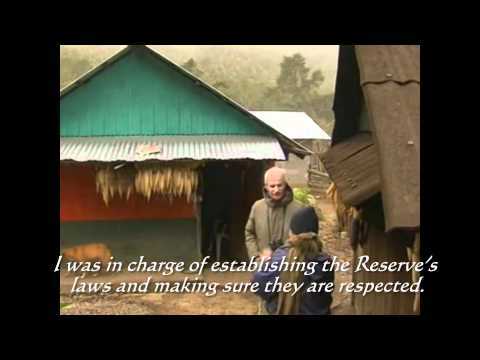 The methodology developed by Zimbabwe biologist Allan Savory has helped to reverse desertification, poverty and numerous social problems with its emphasis on the “imitation of and work with nature”. Once converted into a Hub for Savory Institute, GESG will also be a learning center for national training under the leadership of Mario David Pedraza Ruíz, who has implemented Holistic Management in Tonatico Ranch. He has gained experience in situ and has introduced the concept and tools to local farmers with remarkable results. This 2013, 10 hubs will be consolidated around the world; it is a substantial achievement for GESG’´s project to be considered one of the lucky few. The principles of Holistic Management have been applied over more than 40 years with excellent results, particularly towards healing and improving the land after years of malpractice, mostly through the use of cattle as a tool to improve the health of the ground and to stop desertification processes. Holistic Management principles may be applied whether you are a farmer, agriculture, business entrepreneur, or office worker, for it offers decision-making tools to better understand nature and work with and not against it. With this approach, a few key resources, knowledge and practices are sought to dramatically improve the quality of the land, administrative processes, and health, as well as a sustainable future for the generations to come. We are also aware that only by attaining a critical number of hectares under holistic management and using cattle to regenerate the soil is it possible to capture enough carbon from the atmosphere and reinsert it into the ground, thus facing climate change in an effective manner. At the present, under the leadership of GESG, 15 pilot ranches have been successfully involved in the planning and improvement practices; a process that in the short term begins to translate into superior performance and income for landowners and managers. As a final stage of this process, our team will receive one last training workshop in Colorado, USA, in June 2013. Representative promises to promote legislation on the matter. March 3, 2013. Municipal representatives and authorities participated in the “Regional Forum on Wastewater Treatment”, hosted by Grupo Ecológico Sierra Gorda in their Centro Tierra Headquarters. The forum was attended by specialists on Water Treatment like Kris McCamant, from the state of Veracruz, and Terry Griffith from Pennsylvania, as well as Municipal Presidents and personnel from the state Water Commission (Comisión Nacional del Agua). Legislator Marina expressed his commitment to appropriate water treatment and asserted he will advocate the State Water Law for the state of Querétaro with the adequate adaptations made for each municipality. He acknowledged Centro Tierra´’s work, saying that the organization has been working to save and maintain the environment with innovative ideas and techniques. The Green Party Representative also emphasized the need for collaboration with municipal, legislative and commission authorities to promote a law for wastewater treatment.